The Royal Hawaiian Restaurant has been in Laguna Beach forever. This place has been here since 1947 and there's a reason why its been so successful. The food is excellent. 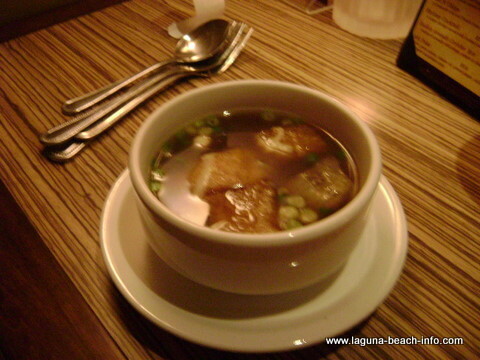 (French Onion Soup) When you enter the Royal Hawaiian Restaurant, its like you've stumbled back to the islands! Everywhere you look, the decor provides a tropical reminder of the Hawaiian theme! But- you're not just there for the ambiance, let's talk about the food! Recently, I was warned by our waitress that the French-Onion Soup isn't really quite that, and I soon found out that she was right! It was some kind of cross between "cheddar-chive-miso-bread-broth" but it was still really good! 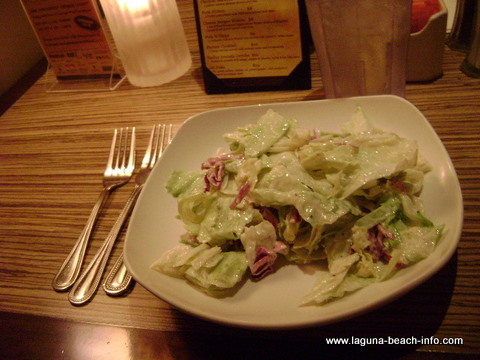 The House Salad with Ono dressing is also great! 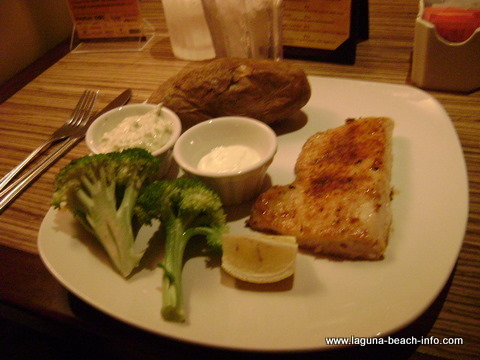 (Grilled Mahi) The grilled Mahi was amazing, but bring your appetite- because not only do the entrees come with the soup and salad, they also come with a baked potato and steamed broccoli! 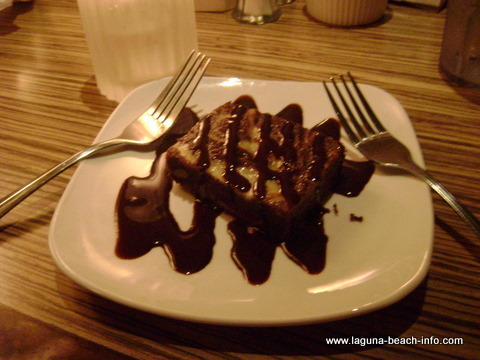 (Cream Cheese Brownie) The Cream cheese brownie drizzled in chocolate sauce is fantastic! If you like brownies- this one came extremely soft with a hint of crushed walnuts mixed in for texture. If you're really ready to sample the full Hawaiian experience- order the fruity Lapu Rum Cocktails!! 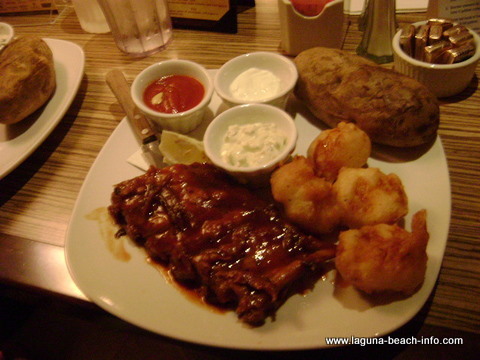 Once you've tried one, you'll join the masses of people who come back to Laguna for the Lapu! !